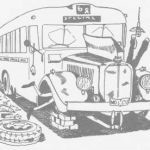 ATDB • View topic - Quiz..... 1986 Bus Show, where are they now? Quiz..... 1986 Bus Show, where are they now? 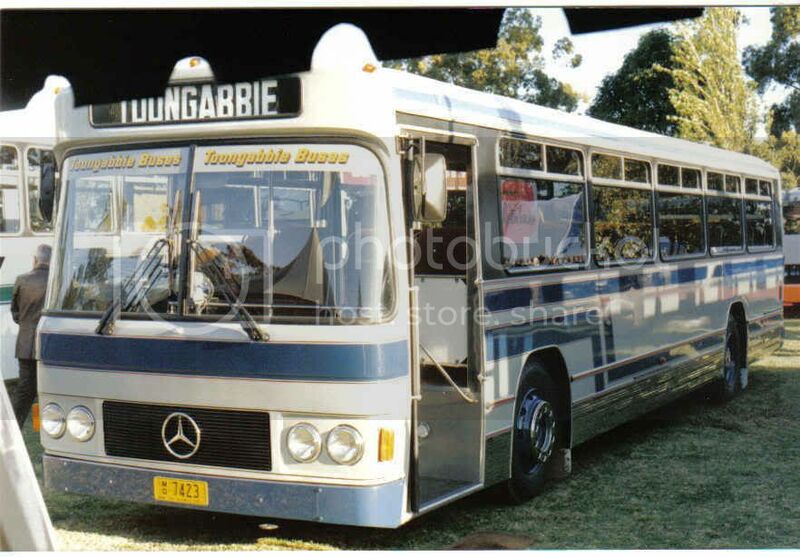 Here is a collection of vehicles that were on display at the 1986 Bus Show held on the 26 and 27 August. For a bit of fun, who can identify where they are now. I still can't believe this collection was taken 21 years ago ! 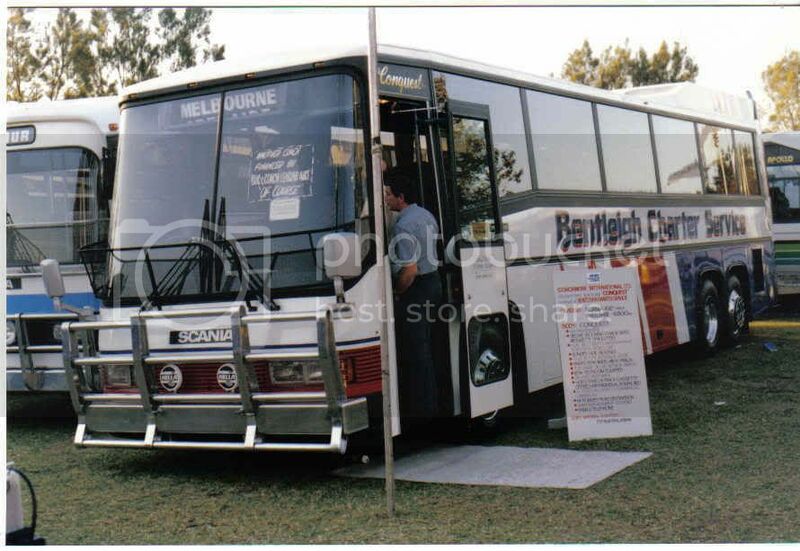 The release of the first fully Australian designed and built double decker took place at this show. 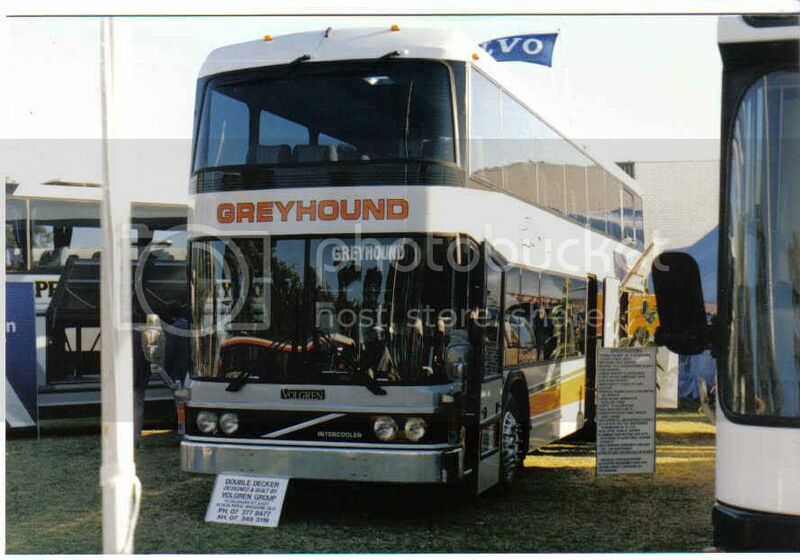 Developed by Volgren in Brisbane and Volvo Australia, the first was delivered to Greyhound. Fleet No 815 it was registered UDD 053, has a 3 axle Volvo B10M chassis, and Volgren body number c54 of August 1986..
VIP Express took delivery of 6 Scania KR112 fully imported coaches with Neoplan Cityliner bodies. 2 were on display at the show - the one on the left registered RI 9951 (sa). Brisbane City Council took delivery of the first 2 of an order for 90 Volvo B10M's bodied by Commonwealth Engineering. 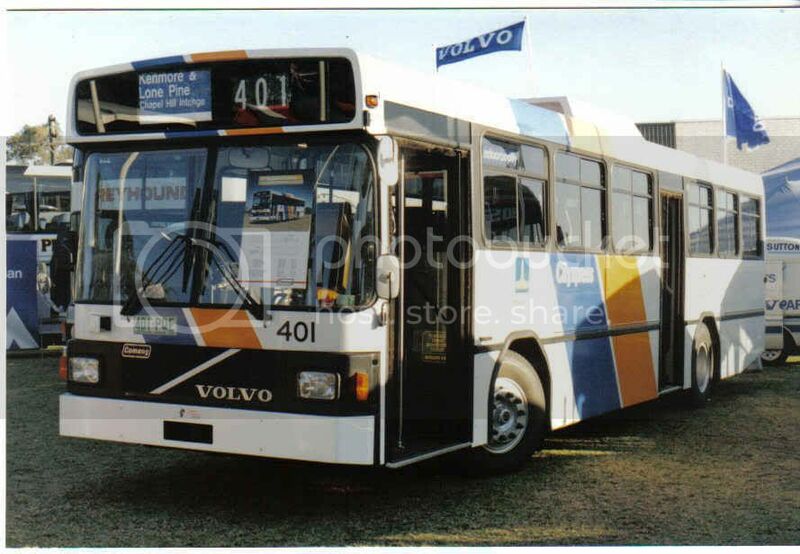 Fleet 401 was displayed at the bus show and was registered 401 PQE. mo 7423 for Toongabbie was a Merceded Benz 0305 with CC body (85.468) of June 1986. Coachwork International of NZ displayed this Scania K112TR chassis with their Conquest body, delivered to Bentleigh Bus Lines. It became fleet 7 and was registered CXU 019. Last edited by T1200 on Sun May 04, 2008 9:28 pm, edited 1 time in total. The Toongabbie O.305 is with Westbus Bonnyrigg. Very suitable bus and a big candidate for preservation, being one with a Customs body and also one of 6 O.305s to go to private operators in Sydney. Thankyou so very much for posting a BT bus in there! Where is it now, at Virginia depot, after spending the first 19 odd years at Toowong depot! Thanks for sharing, top work! Re: Quiz..... 1986 Bus Show, where are they now? Any more information on the other buses here? Further update on the Brisbane Transport bus #401, it has since been withdrawn due to a major accident back in early 2008. And trust me, she looks nothing like that anymore, pretty much guttered of alot of her interiors and some panels too from memory. Going by the body number of C54, the Greyhound Volgren Decker is now with Thompsons Bus Service, Strathpine, Qld and is fleet number 24 & registered 024 GJT. For more info see here.